Earliest record we have is Griffith Valuation approx 1850. The house (No 18 see town plan) consisted of the portion next to & in line with Fuchsia Gift Shop. The owner & Immediate Leaseholder of the property was Thomas Walsh (James). The “James” was to distinguish him from two other Walsh families, namely Walsh (Black) & Walsh (Mark) who lived nearby. Along with George Fortiscue O fflahertie, Thomas Walsh (James) was the main Leaseholder of property in the town portion of Cregg which ran from the boundary (East) of the Church of Ireland to the turn-off for Cregg at Ardvarna. The occupier of the ‘house & garden’ at the time was Martin Newell. There is no mention of it being a Public House but it was quite common at the time, not to distinguish between a Public House & a private dwelling. The next record we (Oughterard Heritage Group) have is from ‘The Rateable Valuation Records (1858 to 1860)’. During this period, the immediate Leaseholder changes from Michael Walsh (Mark) to Michael Walsh (James). The house is occupied by lodgers & again there is no mention of it being a Public House. Note that next door (Fuchsia Crafts, used to be Egan’s Butcher Shop), the occupier, Michael Walsh (Mark) is replaced at some point by Bryan Toole. That property was owned (immediate Leaseholder) by George F. O fflahertie. Also 6 acres in Cregg changed occupancy with the same individuals involved. Later Bryan Toole would come to own the property (No 18, Keogh’s Shop) & he in turn leased it to Pat Connelly. In 1886 we see the word “licensed” being used. At this stage the property seems to be back with the O’fflaherties with Rev. T.R. O’fflahertie being down as the owner, leasing the property to Bryan Toole. In 1892 Thomas Toole is seen to take over occupancy from Bryan (father or uncle ??) with Rev O’fflahertie still down as the owner of the property. Unfortunately the next Rateable Valuation Records in our possession (1913 to 1935) has no account for Cregg. The next source of information re occupancy & ownership is the 1901 census. In the census Thomas Toole now aged 45 years is unmarried & living alone in the property which is now described as a Public House, having 7 rooms, 2 storey thatched with 4 street facing windows. It is described as a 2nd class house. The owner/Landlord is John P. O ‘fflahertie. Thomas is described as being a Merchant by occupation, being able to read & write & speak both Irish & English & is a Catholic. Moving onto the 1911 census Thomas is still in occupancy but seems to have aged more than the 10 years between the two census, as he is now 64 years. It shows that he was born in Leam. His occupation is now a Shopkeeper. He is still living alone & the house is still described as a Public House. Nothing much has changed since 1901, it is still thatched but now has only 5 rooms occupied by Thomas. Note also that he is now listed as owner/occupier. In 1911 Harry Toole was residing in Leam East, aged 50 years. I’m assuming that he was a brother of Thomas. Harry (Honri) later came to own & run the pub with his wife. We are unsure as to what year. Henry Keogh’s house is No 19 on the Griffith Valuation Plan 1850 (see above). The owner is Thomas Walsh (James) & the occupier is Michael Walsh (James). It is described as a house & garden. In the Rateable Valuation 1858 to 1860 the occupier is still Michael Walsh (James) but the owner is George F. O’fflahertie. In the 1892-94 Records Michael is still the occupant but the ownership is gone to Rev. T. R. O’fflahertie. Moving onto the 1901 census we find the house occupied & owned by Bridget Walsh, a widow with 2 sons living with her, namely Bartley & Michael. The house is described as a 3rd class thatched dwelling with 3 front windows and 4 rooms , single storey. Between 1901 & 1911 Bridget divided the house so that in the 1911 census we have Bridget living in a thatched cottage with 1 front window, with 2 rooms occupied by herself & son Michael. The rest of the original house (now a separate cottage) is occupied by James & Maggie Walsh (brother & sister to each other). The thatched cottage has 2 front windows & 2 rooms. Mick Monahan (Sean & Tom’s father) later rented the house off Bridget which had become a 2 storey, probably in the 30’s (See Pictures). Mick & family later moved next door & opened a Bike Shop. Edward Sulliivan (Kieran’s Grandfather) then bought Bridget’s small house & also James & Maggie Walshes & up as far as Thomas Toole’s Shop & Bar. William Keogh was born near Athenry. He worked as a ganger with the Land Commission. William was father to Mick (Justin’s father) & Johnny (Henry’s father). William purchased Honri O Toole’s Shop, Pub & Hardware & also purchased down as far as Monahan’s Bike Shop, off Edward Sullivan. He married Mary (Mayno) Power, a sister of John Power (Mike’s Grandfather) from across the street. (Power’s Cottage). At some stage he made Bridget’s Cottage & James & Maggie’s house into one (as it was before, although both were 2 storey when William acquired them. This would then become Keogh’s Drapery Shop run by William’s son Johnny & later Henry’s Draper & Souvenir Shop. A letter to the Connacht Tribune November 8th 2013 from Lars Wallentine, Switzerland prompted me to investigate the history, legacy and impact that the family business of John P. Keogh & Sons, Irish Gift Shop has had on the local economy and the Irish Tourist Trade over the years. The drapery business, as distinct from Keogh’s grocery business, was founded by Johnny Keogh. Johnny was born on March 11th 1922. He was educated at Scoil Chuimín Naofa, Oughterard and Coláiste Iognáid (The Jes.) Sea Road, Galway. Local affairs were of great interest to Johnny, being a member of many committees relating to such things as pony racing, annual Agriculture Show and the local GAA. Johnny was always proud of his association with the various Show committees. He had a great interest in all aspects of this prestigious event – animals, horticulture, machinery and his own special interest crafts. The Show held in late August brought welcome business to the town at the close of the tourist season. Amateur dramatics proved to be a great love of Johnny and he participated in many of the village’s productions which were often taken on the road to neighbouring towns. As a Gaelic football player, Johnny was privileged to captain the triumphant Oughterard team that won the County Junior Championship football final in 1949. He captained the Senior team that reached the Senior Championship final of 1953 before being defeated by Dunmore Mc Hales. Johnny had always the interest of Oughterard at heart and it was this love of his native town that inspired him to set up his business on the Main Street, in 1945 providing employment and encouraging home industry. In the early 60’s Johnny met his future wife Breda Lennon who was from Fenagh, County Carlow. Breda worked as a nurse in the Mater Hospital in Dublin and first came to Oughterard when she was assigned to accompany a private patient from the Mater Hospital who lived on the Pier Road. 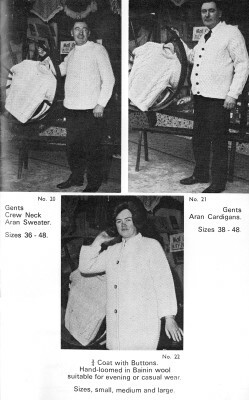 Breda and Johnny married in 1963 and together they established an industry known as “Glann Crafts’, operating from an extension to the rear of the shop. Glann Crafts employed women from the village who made handmade clothing which was distributed to craft shops nationally and internationally. Shops were also established in Salthill and Barna and these were viable businesses until the early 70’s. Women appreciated the additional income they earned while caring for their families in their own homes. Their husbands were mainly engaged in part time farming and seasonal fishing on Lough Corrib in the 60’s, 70’s and 80’s. 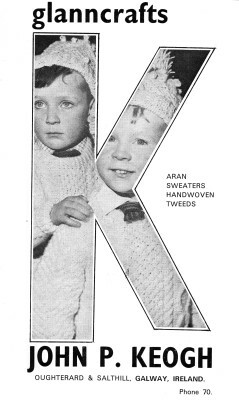 Aran Sweaters needed no introduction in the 60’s. Tommy Makem and the famous Clancy brother singers wore them on World Tours with their traditional Irish band. When they wore them in Carnegie Hall, New York in 1962, it seemed as if half the north American continent couldn’t get enough. The sweater gained a high reputation not only in this country but internationally as well. Half a century later, and the Aran sweater is still the biggest part of Henry’s business. All Keogh’s Aran Sweaters were hand-knit by expert knitters using only the original oiled wool, which made them not only windproof but waterproof also. The sweaters originated from the famed Aran Islands off the coast of Galway. They were worn by the native fishermen and were knitted by their wives and mothers. 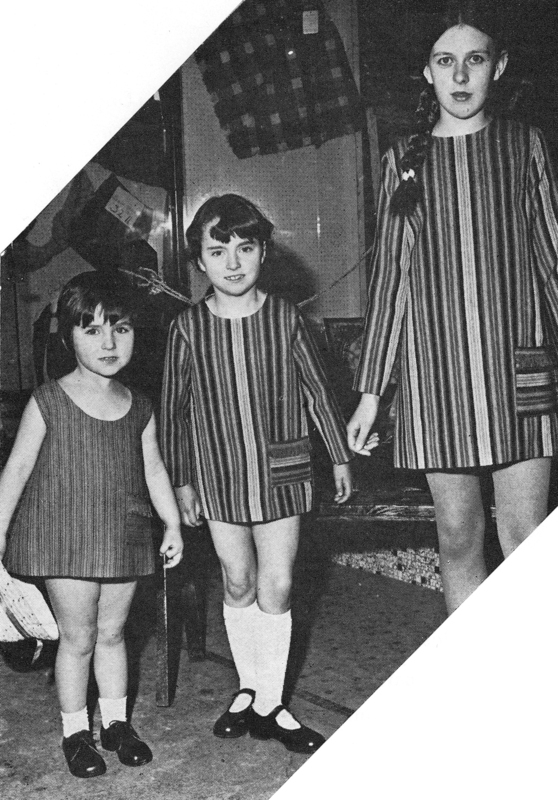 The patterns were never written down but were handed down in families from mother to daughter, each family having its own particular pattern. Some of the intricate stitches used in the sweaters symbolized love, joy, happiness, etc. Stock included children’s kilts in assorted plaids and tartans, gent’s báinín hand-knit socks, ladies Aran pattern knee stockings, children’s and ladies Aran mitts, Aran tams and ski caps, ladies lace hand-crochet blouses or tops in wool, crochet collars, hand-woven stoles in beautiful greens, reds and blues. 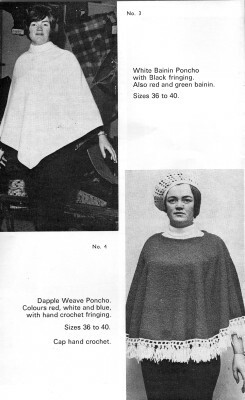 Ladies headscarves and neck scarves in lightweight hand-woven materials were also fashionable. Ladies crios hand-woven tweed pinafores and dresses with sleeves were sold in the shades of the rainbow from sizes 36 to 40. 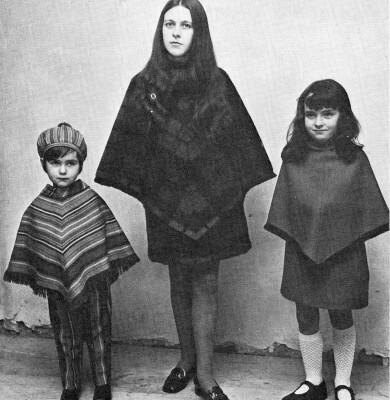 In the past number of years there has been concern in Ireland with the lack of skill knitters as very few children are now taught knitting in the Primary schools. 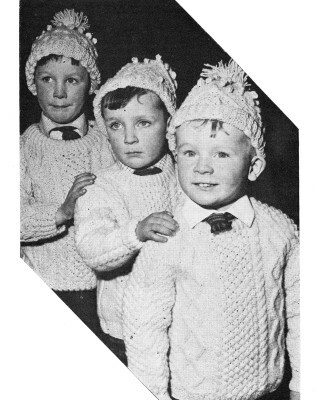 There are lovely machine knit jumpers available but the classic Aran pattern can only be done by hand. Failte Ireland has become aware of this lack of skill as knitting is part of our heritage. In the past two years since recession has hit the country agencies are now supporting “Yarn Clubs” where knitters have got together to revive the old skills. Ecommerce has also proved vital in expanding the retail business through websites and Facebook pages but personal service is still most important when shopping and Keoghs is a front runner in this aspect of the business. J.P. Keogh’s carried a large selection of the best Irish homemade crafts which included Connemara Marble earrings, bracelets, necklaces, brooches and pendants. Wateford Crystal and Beleek pottery was high on the list. Americans and English tourists had a special interest in pure Irish linen double damask tablecloths and matching table napkins. Hand woven tweed table-mats, sheepskin rugs, Foxford blankets and rugs as well as Donegal hand-woven tweed swatches, tweed ponchos and skirt packs in assorted checks and plain tweed were much sought after. What ever the tourist wanted Keogh’s could supply and still do to this day. Postage has become very expensive so present day tourists are more inclined to buy smaller items as mementos of their Irish visit. Keogh’s did not forget the needs of the local customer while catering for the discerning tourist client. To this day it carries general drapery, blankets, bed linen, jackets, sports wear, footwear for winter and summer, jumpers, shirts as well as the traditional Aran knitwear items. Johnny and Breda raised three sons, Henry, Padraic and Conrad. Henry, the eldest son married Mary from Newcastle, Galway in 1993 and they now run the business with their children Oisín, Síofra and Bonnie. Under their stewardship the business has expanded. It still carries the same traditional items though the fabrics and styles have changed with the times. Henry still gives part time employment in his shop which is like Aladdin’s Cave. It is a joy to shop there as Lars Wallentine, Switzerland who is a marketing manager for the big company FMCG found out recently on a visit to J. P. Keogh in Oughterard. I think it important to quote his letter in full as very often we do not recognizes or give credit to the businesses that are on our own doorstep until a stranger points out their uniqueness. “These days, my main interest has swung over from package design to in store communication. Why? Because I find that much more could be done in this area to trigger sales! Today, it seems that brand managers focus on sticking logotypes… Yes, we need strong branding to attract customers, but what is more important than a brand logotype is to give the consumer a real reason to buy a product (or service). Modern supermarkets have no sales people to attract consumers to certain products, so either call-to-action texts or mouth-watering appetite illustrations will have to do the job. So why this article? Because during our yearly holiday in the West of Ireland, I met the master of in-store communication Henry Keogh in Oughterard. He runs a shop with all-weather clothes, boots and shoes, plus housewares, gifts and crafts. Henry never went to a marketing course or business seminar, as he is the typical down-to-earth, commonsensical self-made man. If someone understands the power of load words, it is certainly Henry with words such as fantastic, value, unique selection, etc. He highlights the key words as for instance ‘Our value and selection will not be beaten’, or ‘Fantastic value, Nicholas Mosse Pottery. Prices have been reduced by 20%.’ To have the word ‘Look’ stand out, Henry added eyes! Here he is together with his son, hopefully the next generation at John P. Keogh in Oughterard! So when a small shop owner out in Connemara can do it why not the big FMCG companies I’m working for? This page was added on 09/01/2014.